This year I will be simultaneously celebrating Independence Day and the marriage of two great friends, Stephanie and Jim. Talk about a holiday double threat! 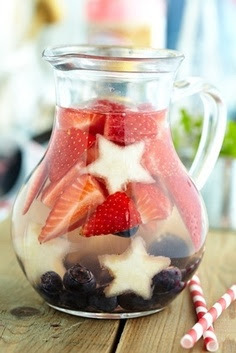 Here is some July 4th Inspiration for you! 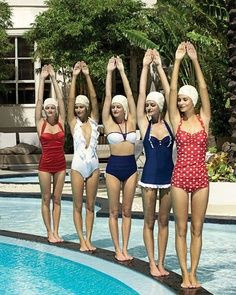 Pottery Barn is having a summer sale. They have tons of patriotic swag at great prices. 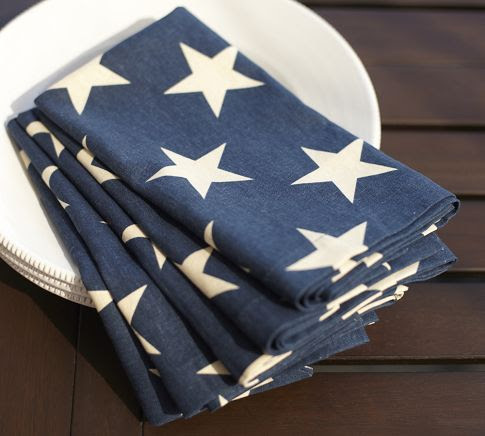 Check out these fabulous napkins! I'm loving this table top I found on Tori Spelling's blog. 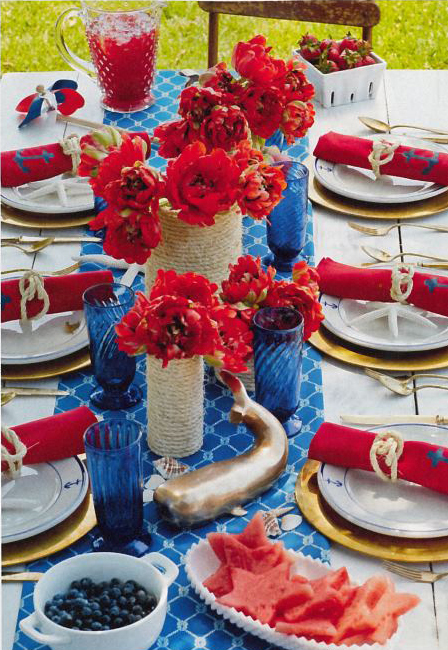 Nautical themes blend well with the Red White & Blue. Festive cocktails always add a little something special to a summer soiree. Liven up your favorite clear cocktails with fresh strawberries, raspberries, and blueberries for a simple, celebratory touch. For as long as I can remember, my sister, Laura, and I have whipped up a flag cake for the 4th and it couldn't be easier. Start with a boxed yellow cake mix, prepare it as directed and let it cool. Poke holes in the top, cover it with Cool Whip and chill it over night. 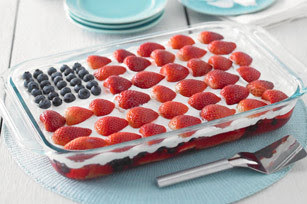 When you're ready to serve it, decorate with strawberries and blueberries.